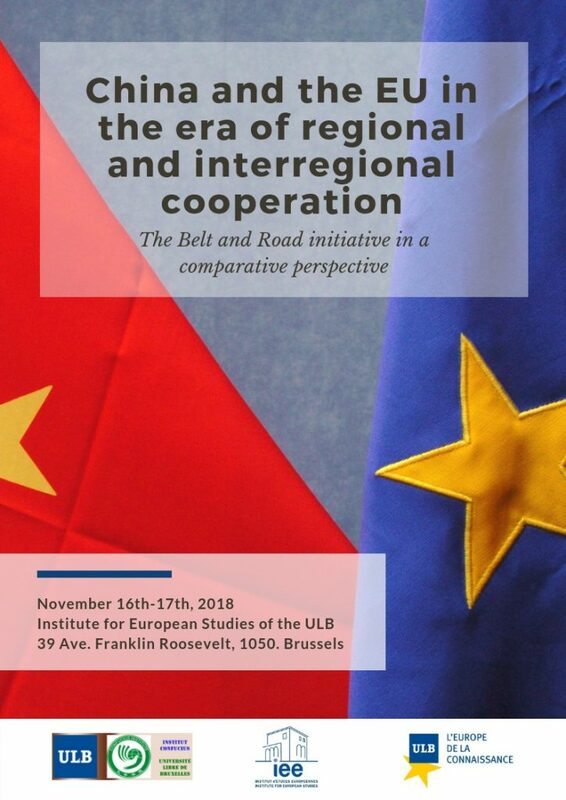 The IEE-ULB and the Institut Confucius invite you to two days of dicussions around the hot topic of regional and interregional cooperation on November 16th and 17th. China and the EU are at the center of multiple regional and interregional relations and institutionalized partnerships. In an increasingly unstable world-order, regional and interregional relations are expanding in and between every continent. The scientific literature is also booming even if in a controversial way on these crucial issues. This conference, jointly promoted by the Confucius Institute and IEE-ULB, will first address the meaning of this new phenomenon for international relations theory and global governance. Secondly, the conference will address the China’s economic and political interaction, on the one hand, with the neighboring regions and, on the other, with regions abroad, notably with the Africa, Latin America and the European Union. The objective of this conference is to discuss the impact of China’s and EU’s interaction on the development of regionalization. The conference is open to students, junior and senior scholars, and the public interested to China’s and EU’s external relations. The EU will serve both as a reference for successful regional cooperation, and as one of the main interregional actors –notably as China’s interregional partner, 15 years after the Strategic partnership agreement and three years after the start of the BRI. One Belt and One Road is an important topic because it represents the most relevant political and economic interregional strategy of P.R. of China. It interacts with very diverse forms of regional and interregional cooperation. On the one hand in Asia, ASEAN+1, ASEAN+3, ASEAN+6, Shanghai Cooperation Organization, the triangular cooperation with Japan and South Korea. On the other hand, with the other continents and firstly with the EU.